Hajj application form process will start soon and people who want to go to perform Hajj, they will be able in the month of January to get Hajj application form online free on this page. There are certain rules and regulation which you will follow at any cost while filling the application of Hajj. Each one can get one and only one application. The entire hopeful people will fill application correctly. Ministry of Religious Affair Pakistan decided that Hajj application forms will be available from the first month of the New Year. People living in Pakistan can get that application form and call submit that application form. Hajj application will be available here on this page and you can get it online free on this page. Note : 184,210 pilgrims will perform Hajj from Pakistan. Important Note : The applicants will have to submit details of their health status in advance. The health data, along with credentials of the intending pilgrims, would be forwarded to Saudi Arab, enabling the Kingdom to make arrangements for their medical care during the Hajj. Computerized CNIC Card (National ID Card). 12 recent Photographs of 4×3 cm size with blue background. Machine readable passport which should be valid upto March 10, 2020, or receipt of passport application issued by the immigration & passport office. Women applicants under age of 45 Years will have to mention their Mahram’s name & also their relation with him in the application form. Hajj 2019 Application Forms are available in all the above designated bank / branches, the bank staff will facilitate in filling of Hajj Application Forms. There must be many from you who are living in any other country but they are the citizen of Pakistan. Now if they want to go to perform Hajj then they will come to Pakistan and will go from here. The procedure is quite simple that is first they will come back to Pakistan. It is compulsory for them to come back more than one month earlier before starting the month of January. After coming back to our country, they will apply for Hajj by getting application. Their expenses will be quite different as compare to other passengers who will go to perform Hajj. For more detail, overseas can also contact with embassy of Religious Affairs, or you can visit their sire from where complete procedure will also mention for you. If you are overseas and you are reading this article then its up to you to come to your country as there is more time. It has been decided by the Religious Affairs embassy of Saudi Arabia that there will be more than one hundred and fifty thousand Pakistani will perform Hajj this year. Both regular pilgrim and private pilgrim will also include in this digit. It is fact that Pakistan is the country where majority is Muslim and everyone want to perform hajj every year or even once in their life. It is not possible for everyone to go to perform Hajj that is why there will be draw list in which you will come to know that you are going to perform hajj pr not. There are more than ten million people who will submit application but only 1.5 million people will select out from them. The procedure will be like this, those who are going to perform hajj first time; they will have more opportunity to hit their name in draw list. 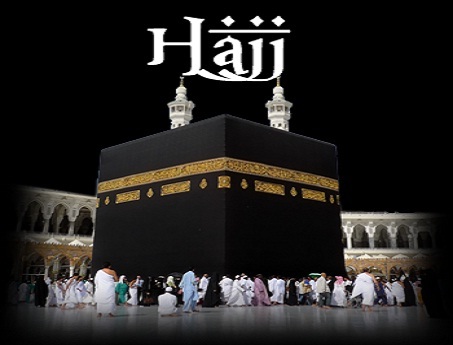 There are many from you who are going to perform hajj second or third time or any digit time, now as it is clear that it is the right of everyone to perform hajj or get chance to perform hajj, that is why those will have more probability to perform hajj who will perform hajj first time in their life. Draw list will show on this page so if you are going to submit application then you can keep visiting here to get addition information which can be useful for you. There will be at least one million people who will perform hajj in the shadow of Government procedure and the rest of the people can perform hajj privately. This is the ratio which is decided by the ministry of Religious Affairs of Pakistan. Those who will perform hajj privately, they will pay a bit more. This ratio has been confirmed and it is also being same from the last few years. People who are going to submit application privately, they must take a thing in their mind that there are several frauds so if they will contact with any embassy then they must check their code which is given by the Ministry of Religious Affairs. If any embosser doesn’t have the information of that code then you have to beware as it can be fraud. Flights will start taking off in the month of Ramadan or Zilqad. Complete detail will be available on this page and all of you will be able to get complete detail on this page. Schedule will be same as it was last time but there will be difference of 10 days in hajj flights. First flight will be Government flight and when pilgrim flights will start taking off, other flights from Pakistan to Saudi Arabia will not take off. Now you have to get application which is going to upload on this page and after this you will wait for draw list. After completing this process you will be able to check your flight detail. The Hajj is the most important part of Islam and billions of people perform hajj every year in the city of Makkah which is located in Saudi Arabia. It is the wish of every Muslim to perform hajj at least once in their life. Hajj means to go to the house of God and perform the sunnah of Hazrat Ibrahim A.S. Hajj is the second largest gathering of Muslims in the world. Muslims perform hajj in the month of Zilhajj which is an Islamic month. Hajj performing date is 8th to 12th of the Zilhajj. There are several rules which followed by the entire Muslims who performed hajj. If anyone wants to know these rules then they can check complete detail which is given on this page. There are always many poor people in this world but it doesn’t mean that they can’t perform Hajj. 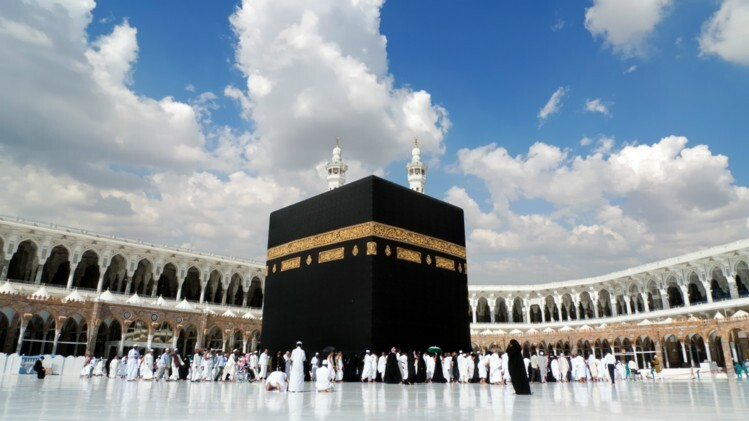 It is believe of Muslims that they must go to perform Hajj if they really want to go. They must go as God will call them to God home and they will perform hajj. Anyhow at the end it is an important thing which you must know if you are going to perform hajj privately.